We raise First Resources (FR)’s FY17 net profit forecast by 7% following revisions to our CPO ASP, FX and output assumptions, FY18-19E earnings by -2%/-5%. 2H17 earnings are likely to be flattish HoH as only 60% of fertilising work has been completed in 1H17 coupled with relatively low brought forward inventory. Trading at ~16x FY17 PER, we maintain our HOLD call despite a higher Target Price of SGD2.04 (+3.6%) based on unchanged 17x 2017 PER (5-year mean) following our earnings revisions. We raise our industry-wide CPO ASP forecast to MYR2,700/t (+12.5%) for 2017 and to MYR2,600/t (+4%) for 2018 as 9M17 FFB output has lagged industry’s expectation, leading to slower-than-expected stockpile buildup and therefore better-than-expected YTD-Sept CPO spot price. However, after adjusting also for lower MYRUSD FX assumptions for FY17- 19 (-7.1%/ -9.4%/ -9.4%) and lower Indonesia’s domestic prices for CPO (vs Malaysia) achieved in 1H17, our net CPO ASP forecasts for FR are revised by +6.6% to USD595/t for FY17, -4.5% to USD572/t for FY18, and -7.6% to USD572/t for FY19. First Resources (FR) posted a strong 1H17 FFB output growth of +27% YoY, in part due to the El Nino stress that resulted in last year’s base. We believe its 2H17 output growth will be on a decreasing trend, with 4Q17 posting its lowest YoY growth rate given the higher base in 4Q16 when recovery commenced. 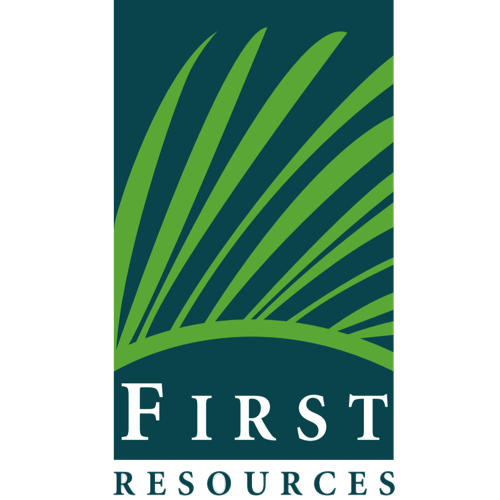 For FY17, First Resources (FR) has kept its full-year growth guidance of +15%. As such, we have cut our FY17E output growth to +16% YoY (from +22%) or by -5% in absolute terms to 2.75m MT. At our revised output forecast, its 1H:2H output ratio for FY17 will be in line with the historical average of 42:58. Our FY18 output growth forecast is now at +16% YoY. Our CPO ASP, output and FX adjustments lead to FY17-19E net profit revisions by +7.4%/ -1.7%/ -5.4%. Our new Target Price of SGD2.04 (+3.6%) also incorporates a lower USDSGD rate (-3.6%). Better-than-expected output growth recovery, and CPO price achieved exceeding expectations. Government friendly policies to encourage new planting, which will allow FR to resume its aggressive organic growth trajectory. Higher dividend payouts as trees enter prime maturity. Output growth or CPO price achieved came in below expectation. Negative policies by government such as recent export levies, and higher-than-expected minimum wage increase, pressuring margins. Extreme drought (like the recent strong El Nino) can have a lagged impact on output. Sharp fall in CPO price or extreme CPO price volatility over a short period of time will likely hurt downstream margins.